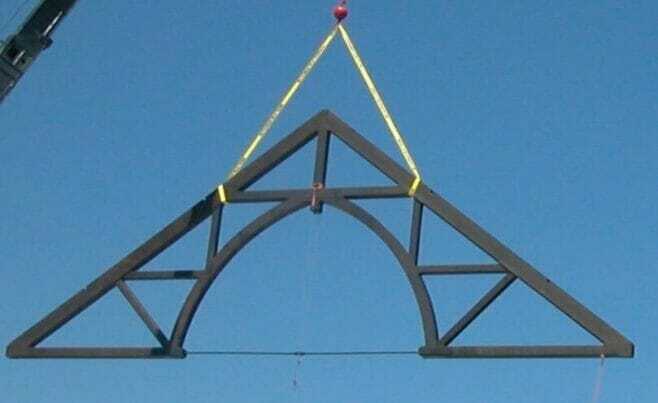 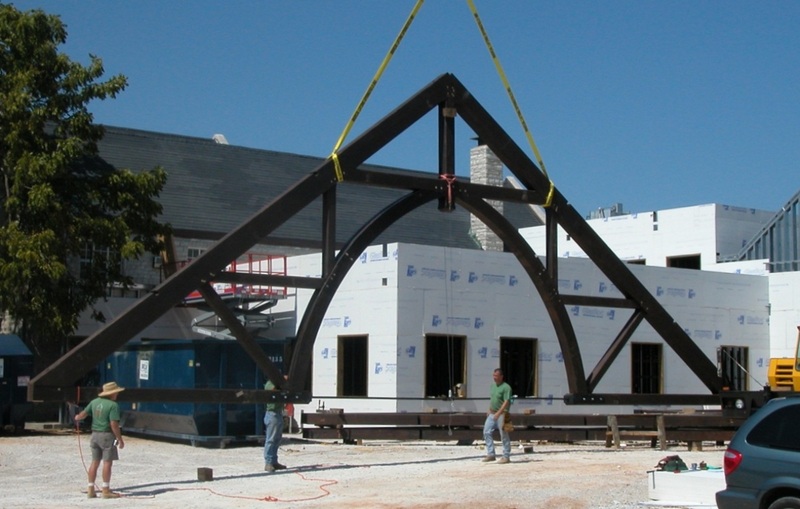 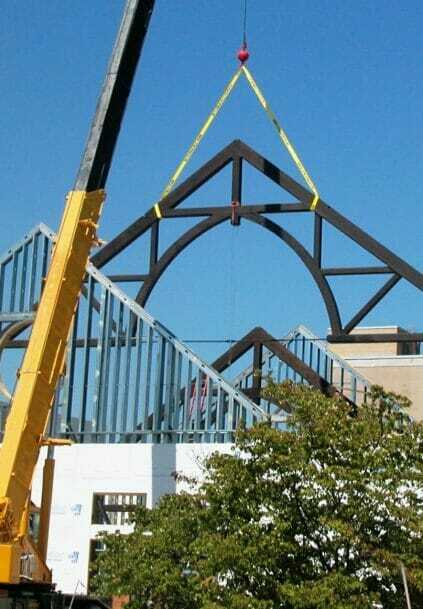 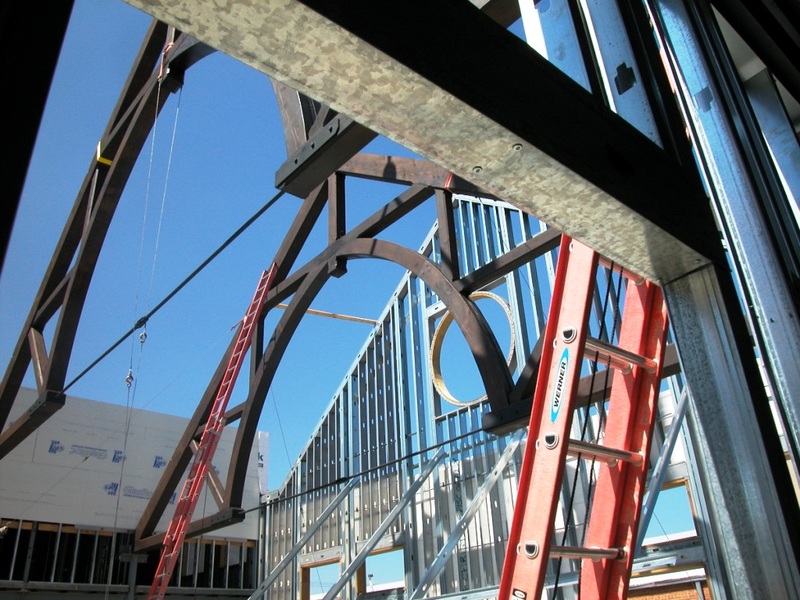 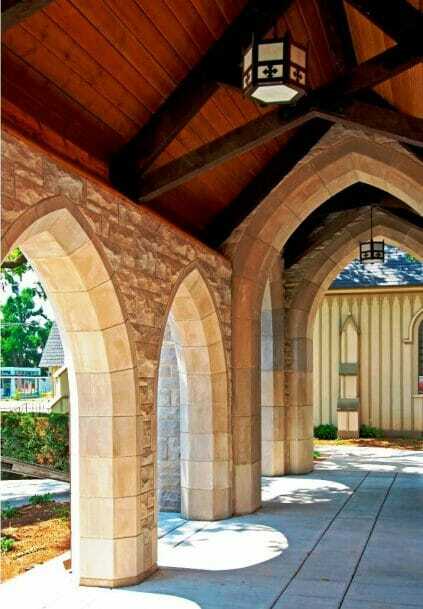 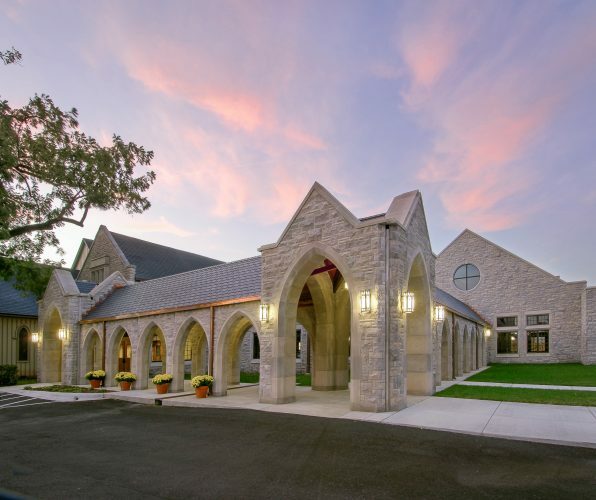 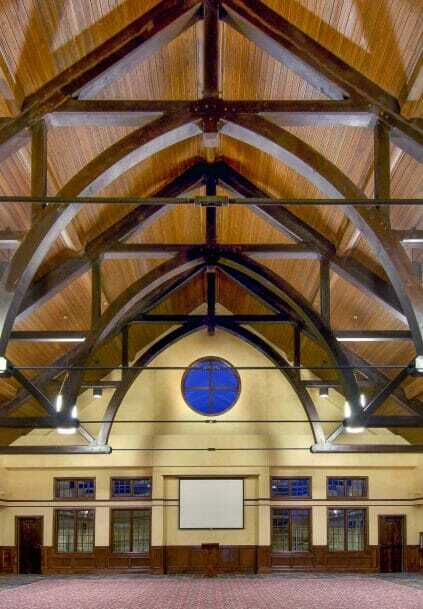 Vermont Timber Works hand crafted scissor and hammer beam trusses for Grace Episcopal church, which is located in Springfield, MO. 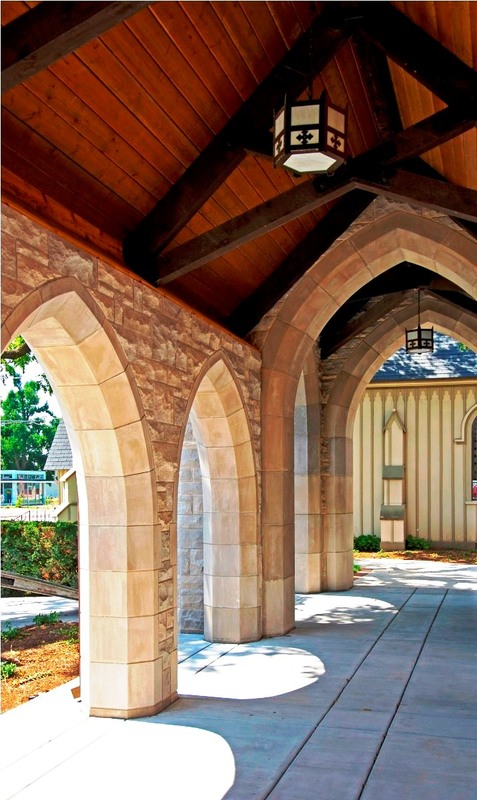 Morelock-Ross Builders and Marshall Walters Woody Architects both worked on this project as well. 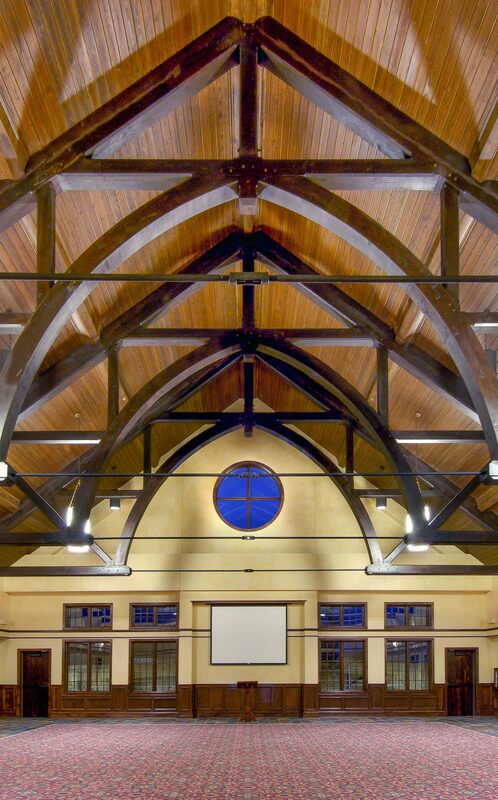 The timber used for the trusses is Douglas Fir with a dark stain. 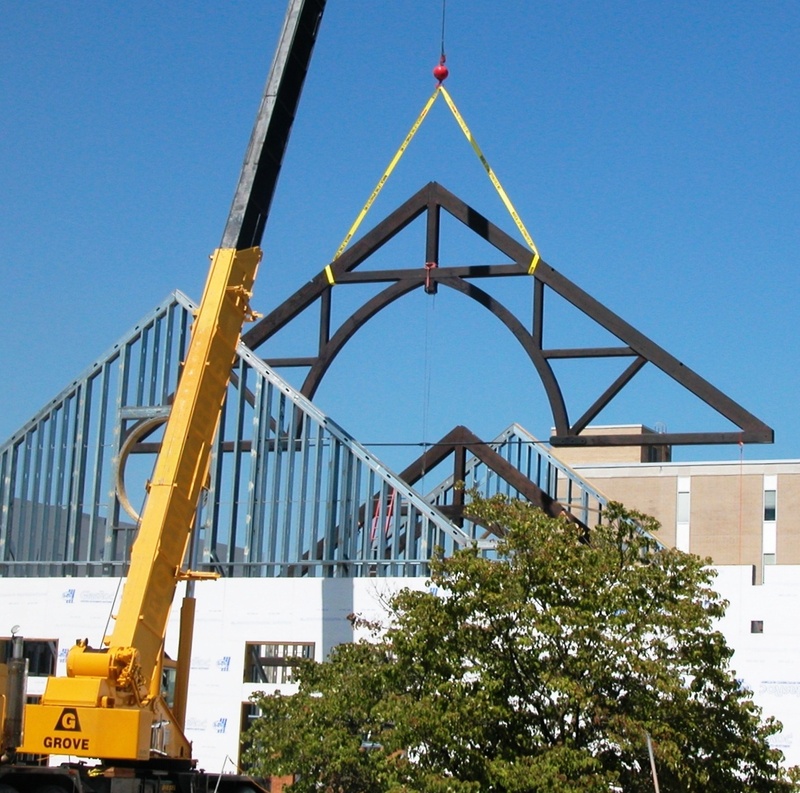 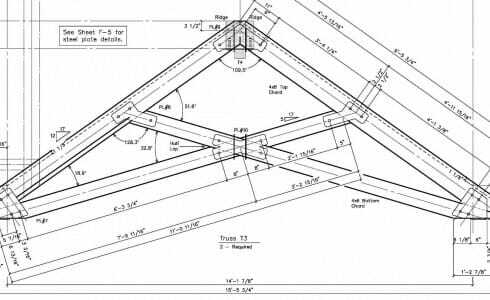 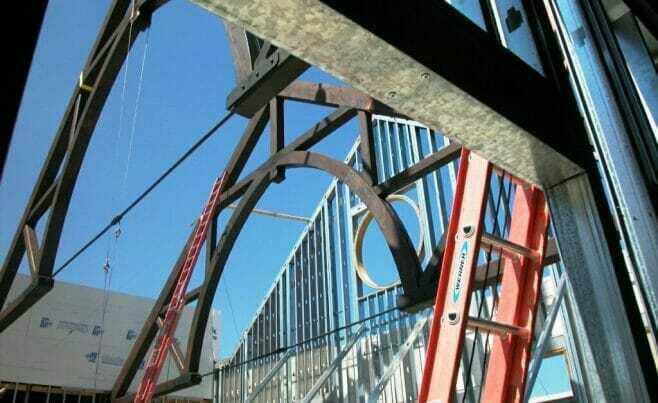 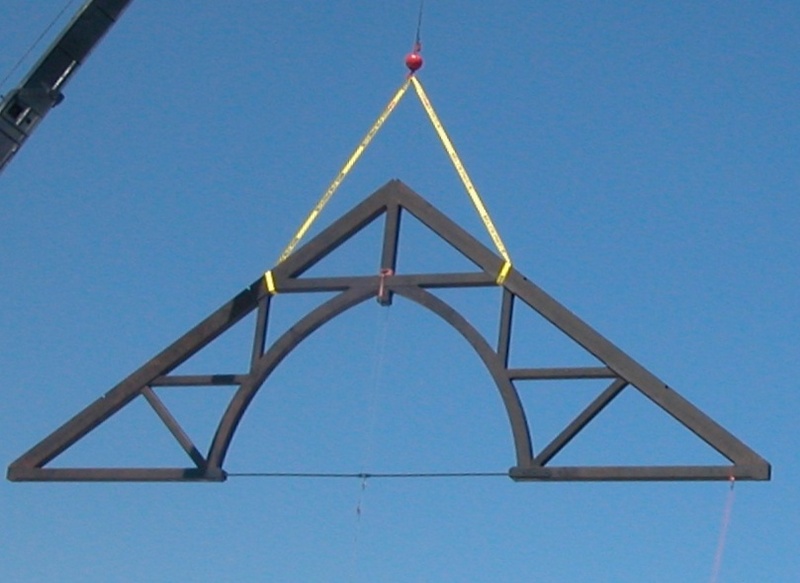 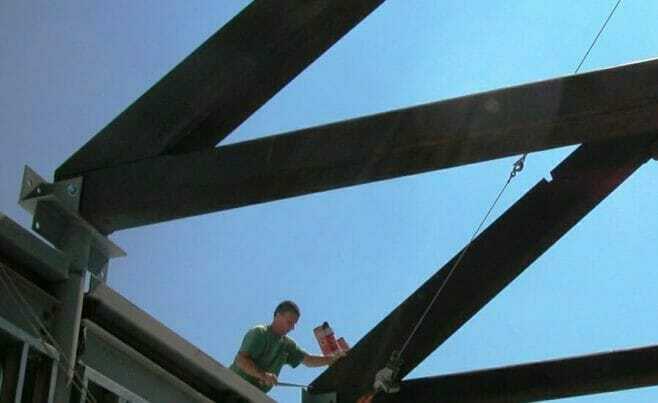 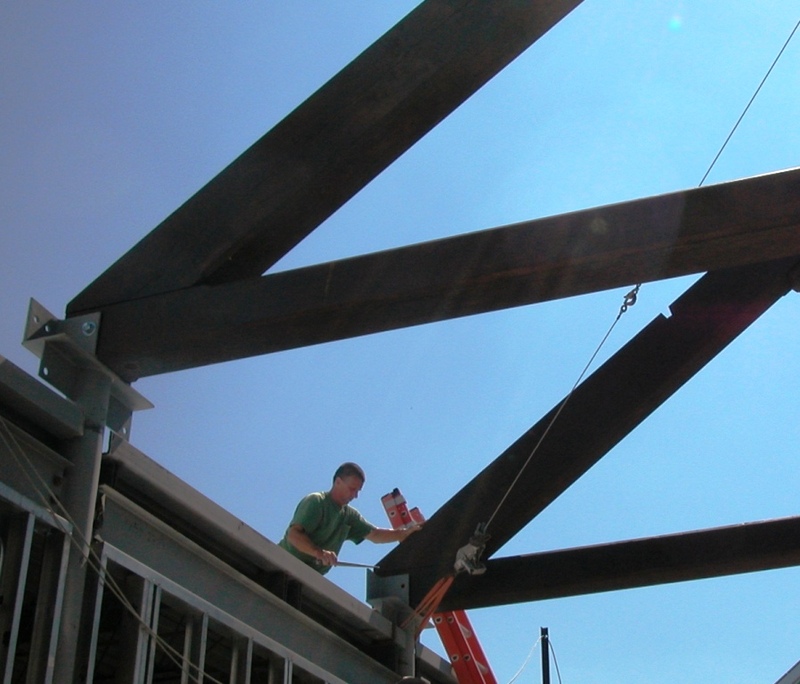 The hammer beam trusses are reinforced with steel tie rods that resolve spreading forces. 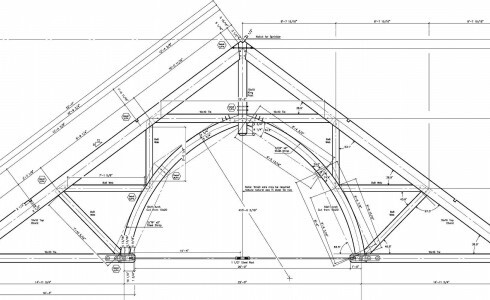 The design process involves a series of sketches and review with the client and their architect — including a 3D model of the frame — until there is an approved final design. 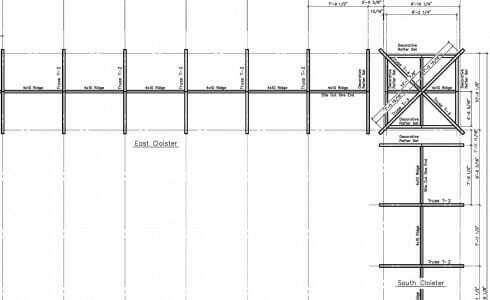 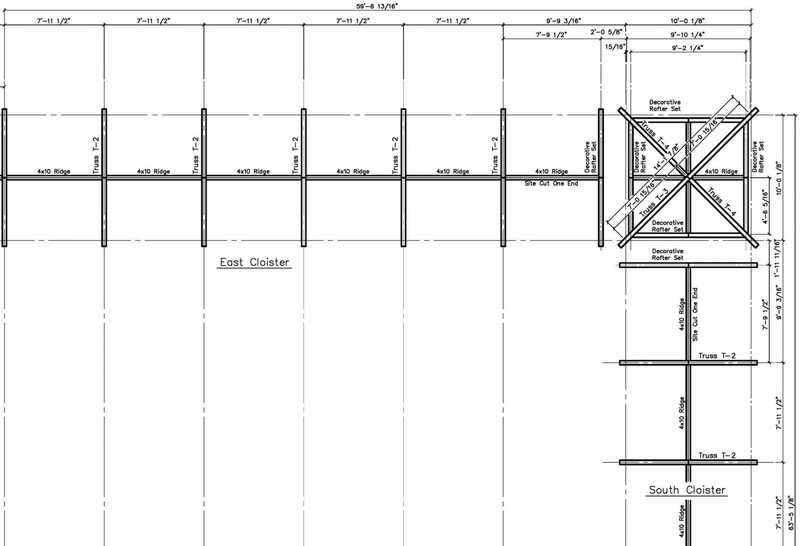 With the final design, detailed 2D shop drawings are created and used to fabricate the frame.